The latest novel from "Morocco's greatest living author" (The Guardian) Award-winning, internationally bestselling author Tahar Ben Jelloun's new novel is the story of an immigrant named Mohammed who has spent forty years in France and is about to retire. Taking stock of his life- his devotion to Islam and to his assimilated children-he decides to return to Morocco, where he spends his life's savings building the biggest house in the village and waits for his children and grandchildren to come be with him. 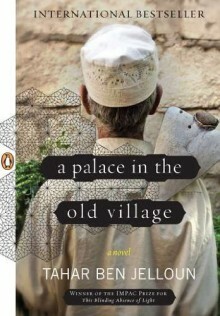 A heartbreaking novel about parents and children, A Palace in the Old Village captures the sometimes stark contrasts between old- and new-world values, and an immigrant's abiding pursuit of home.